I used a round cutter for the face and ears. Raisin for eyes, cheddar ears and nose of provolone and nori. Apple pieces and green grapes. It looks like him! 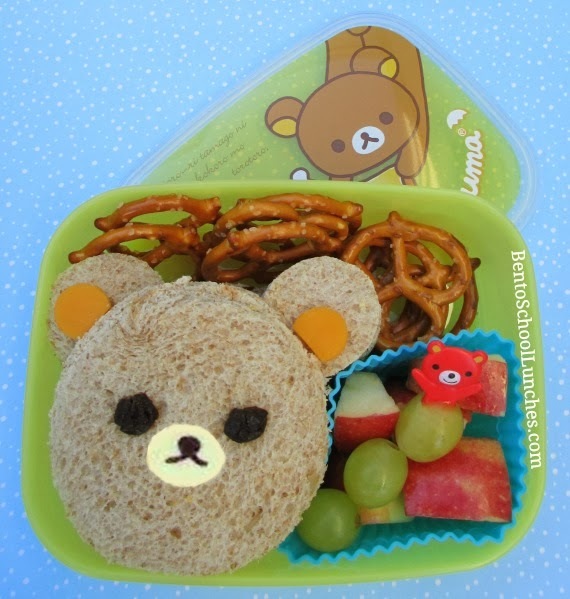 I love rilakkuma! Looks so cute! I love Rilakkuma too! It looks just like the box! Coo!